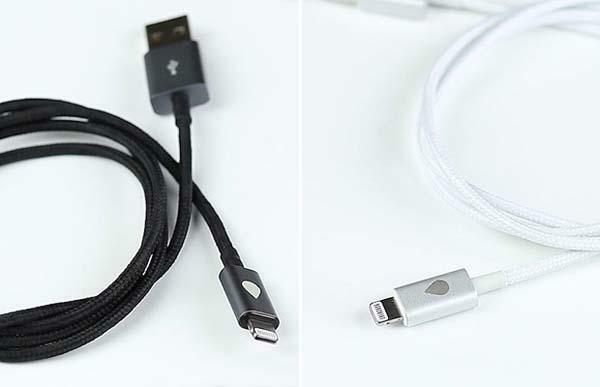 We have featured some nice tangle-free charge cables for iPhones and Android phones, but if you need a more stylish and durable option, the following JUICES+ sync & charging cables may be able to catch your eyes. 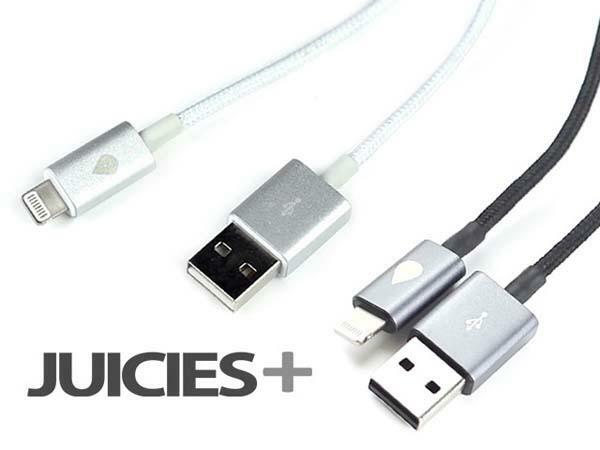 The JUICES Plus is a premium sync & charging cable series designed for iPhone, iPod and iPad with Lightning port and smartphones and tablets with micro USD connector. As we can see from the images, each JUICE+ charging & sync cable comes with two catchy connectors made of sandblasted anodized aerospace aluminum for durable and sleek construction in order to match with your premium handset. Moreover, JUICE+ also features flexible tangle free woven cable with inner steel wire mesh shielding for portability and durability. At present the team of JUICE+ is raising fund at Kickstarter. Pledging $20 will let you own the sync & charging cable. If you’re interested, jump to Kickstarter official site for more details.